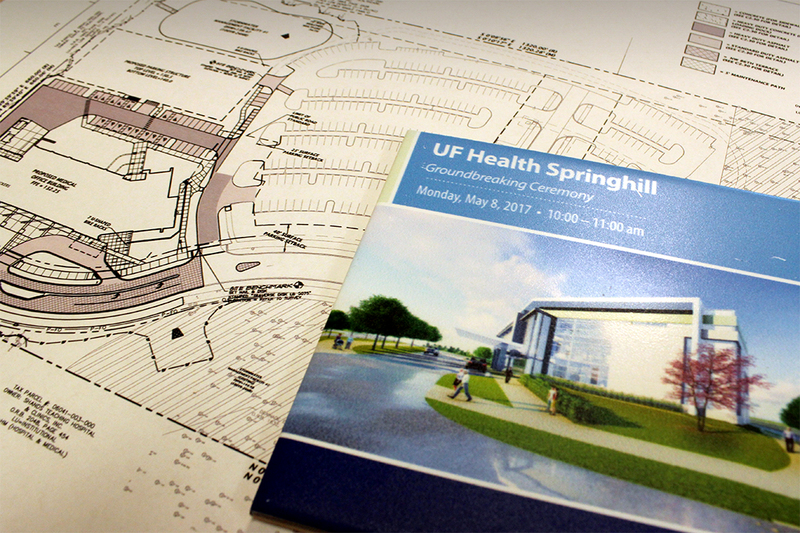 CHW in attendance at the UF Health Springhill MOB Phase II Groundbreaking. Providing Professional urban design, construction administration services, construction engineering inspection services, and site development services. The Springhill MOB II is a new 3 Story, 72,000 sq ft Medical Office Building. The services that will be offered in the new building include the primary care specialties of internal medicine and family medicine, along with pain management and mental health services, specifically, child psychiatry and child psychology.